The Avangrid Foundation is committed to sustainable development and being dynamic stewards of our environment. That is why we are excited to be partnering with the nation’s largest private conservation grant-maker, the National Fish and Wildlife Foundation (NFWF). The Avangrid Foundation will be supporting efforts that focus on conserving priority habitats and species that benefit communities within AVANGRID’s operational footprint. We rely on healthy, thriving ecosystems around our businesses and are committed to conserving these natural treasures for future generations. NFWF will be facilitating a three-year, $1M partnership with the Avangrid Foundation to invest in three NFWF grant programs. These programs were selected based on their on-the-ground projects working to provide impactful conservation outcomes in areas that are of particular importance to the AVANGRID organization. Through our partnership with NFWF, we will be protecting critical wildlife habitats and species, including hibernating bats throughout North America, fish and migratory forest birds in the Northeast, and grassland-dependent birds and mammals in the Northern Great Plains. 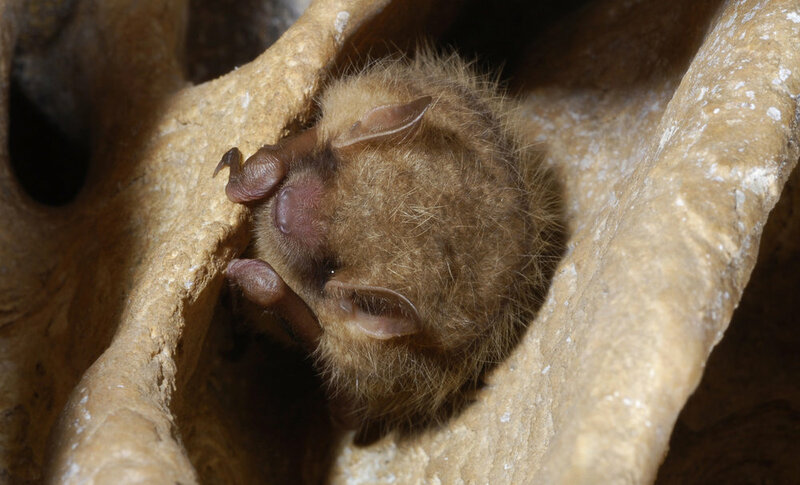 Launched in the fall of 2016, the Bats for the Future Fund provides grant funding to develop treatments and management strategies urgently needed to stem the impacts of white-nose syndrome (WNS) and prevent its further spread. More than 6 million bats have died over the past decade from the disease, which is caused by a fungus that attacks hibernating bats and is rapidly spreading across North America. Research, strict management of known hibernation areas, and outreach and engagement can help stem the tide of WNS with the help of the Avangrid Foundation and NFWF. Several of AVANGRID’s investor-owned utilities have operated in New England for over 100 years. So conserving our world-renowned forests and rivers and maintaining habitat for the birds and fish that call them home is of vital importance to our company. The New England Forests and Rivers Fund restores and sustains healthy habitats for populations of native birds and freshwater fish throughout New England. By facilitating private-public partnerships dedicated to managing healthy forest and river ecosystems, the Avangrid Foundation is excited to be playing an active role in protecting the beauty and health of New England. The National Wildlife Federation marks fences in eastern Montana to make them visible for sage-grouse and reduce the risk of collisions. This project was supported by a grant through the Northern Great Plains Program. Credit: Haley Newman, National Wildlife Federation. The vast grasslands of the Northern Great Plains support a unique assemblage of wildlife adapted to open spaces. Thanks to generations of land stewardship, much of the Northern Great Plains remains as native grassland that is productive for people and wildlife. However, this amazing resource is facing an array of threats that could endanger the habitats and resources that thrive there. NFWF’s Northern Great Plains Program works with willing private landowners and local partners to address these challenges by conserving and restoring native prairie and wildlife, while also enhancing local ranching and tribal communities. The Avangrid Foundation will support these efforts by funding a program dedicated to maintaining or improving 1 million acres of interconnected, native grasslands which support threatened species not found elsewhere. The Avangrid Foundation is committed to supporting the United Nation’s Sustainable Development Goals including Climate Action (13) and Life on Land (15) through our partnership with the National Fish and Wildlife Foundation.